You can contact me by completing the form or using the details below. To prevent long-term build up and guarantee a safe fireplace, it is recommended to have a chimney inspection and clean once per year. 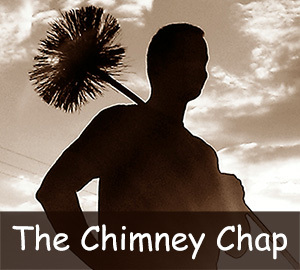 I have always been pleased with the service provided by 'The Chimney Chap'. He is honest, reliable and works in a very clean and tidy manner, I have no hesitation in recommending him. Wonderful service, really friendly and gave me some great advice he left my fireplace looking like new. Mayn came to sort out our smoking woodburner, he swept the chimney and was able to order and replace the broken bricks for me, I will definitely be using him again.